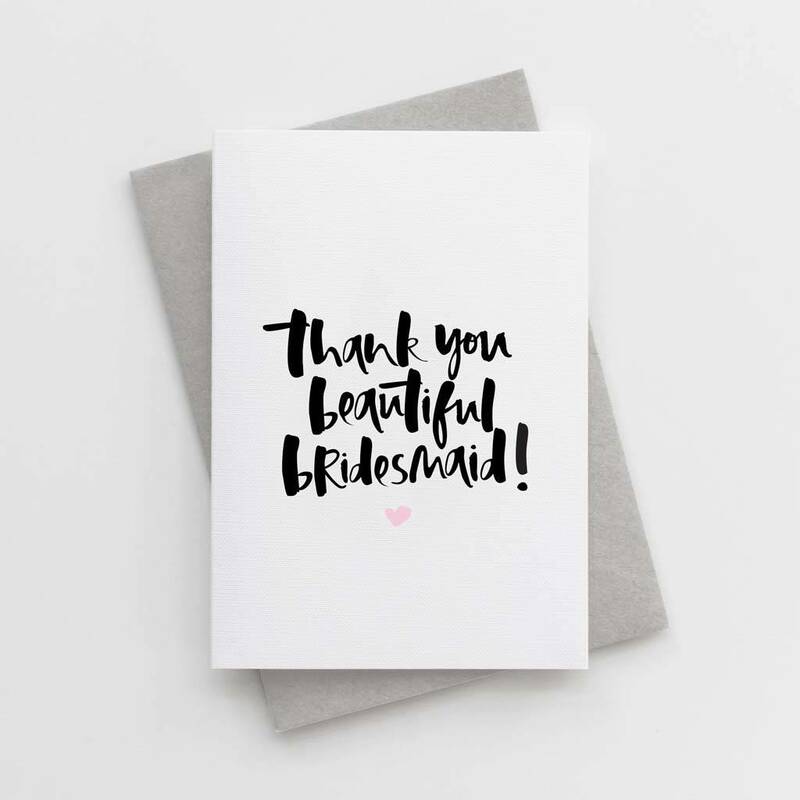 Unique and contemporary hand lettered cards deisgned for extra special occasions. These 'Thank You Beautiful Bridesmaid' cards feature our classic hand lettered typography and sweet little a soft, blush love heart, making them the perfect card to thank your best girls for upholding their duties on your big day! 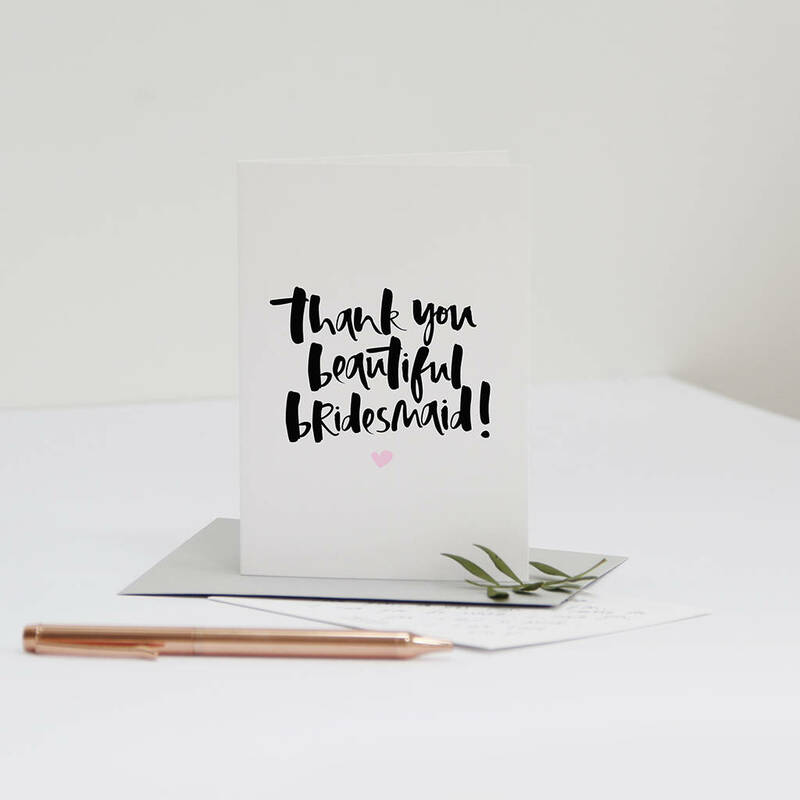 Our unique, contemporary and eye catching designs are created by hand using a Japanese brush pen and rich black Indian ink and printed on to the finest and extra luxurious FSC certified 350sgm textured card and teamed with a recycled soft, grey envelope.